This travel guide to Indonesia covers from the famous Bali, Lombok, Gili Islands and Java to Sumatra, Batam and Bintan Islands, Flores, Komodo Island and more. Indonesia may not have been on top of many tourists’ list but it is truly a hidden gem in the Southeast Asia. It has more than 17,000 islands with 240 million people! Known to many as Wonderful Indonesia, it brings you the second largest tropical forests, many pristine beaches with great dive sites and surfing waves, amazing hikes to active volcanoes and wildlife. Many parts of Indonesia is still much off the radar of travel map with lacking infrastructure and development challenged. Backpackers can enjoy the thrill of exploring the unbeaten tracks while luxury seekers may find themselves spoilt with choices. Find below the many travel guides in the regions of Indonesia for your next travel destination! Bali, known as the Island of Gods had been the most popular tourist destination in Indonesia. Bali is rich in culture and history with its prominent old temples that are still in used, festivals and practices. It is full of natural wonders like the white sandy beaches, surfers waves, divers paradise spots, hiking mountains and rolling fields of rice paddies and rice terraces. 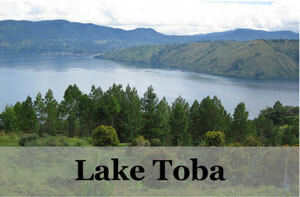 Lying to the east of Bali is Lombok, the emerging next top destination of Indonesia. It also boasts pristine beaches, crystal clear blue seas, diving spots and surfers nooks. Snuggled in between Lombok and Bali are the Gili Islands, well known for their remoteness. 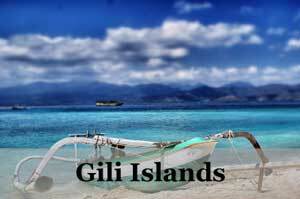 They are made of up Gili Trawangan, Gili Meno and Gili Air. You will find untouched nature, unchartered seas and no motorized vehicles on land. 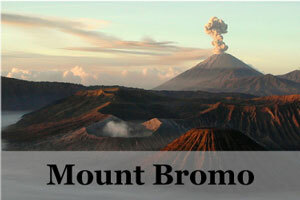 Java boasts many natural and historical tourists attractions. Here you can find the ancient temples like Borobudur and Prambanan. 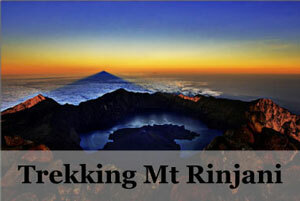 There are also volcanoes and mountains to hike and national parks to trek and explore. Moreover, the train transport in Java is well connected from west to east. It is the only reliable train network among the archipelagos of Indonesia. Are you looking for a quick weekend getaway from Singapore? Batam Island or Bintan Island is the answer to many travelers from Singapore. At these islands, you will find white sandy beaches, clear blue sea, adventurous outdoor activities and also delicious Indonesian food. Batam Island, with only 45 minutes by ferry from Singapore, offers beach, sun and sea along with local cultures and food.Bintan Island, same distance away from Singapore, forms a very strong competition as a weekend travel. 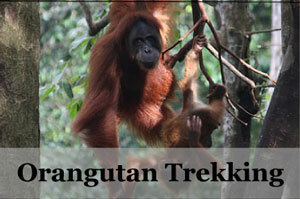 Sumatra, at the furthest west of Indonesia, is a gigantic island largely unexplored. This Indonesian island is for those who seek adventure and nature. The famous tourist attractions here are the trek to see the Sumatran Orangutan in the wild at Bukit Lawang and the largest volcanic lake in the world of Lake Toba. Other popular things to do in Sumatra are climbing the smoking volcano craters that surround the hill town of Berastagi and diving deep into the unexplored sea of Pulau Weh. Flores, means flower in Portuguese, is a place of beauty like its name. 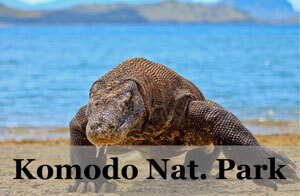 As part of the Lesser Sunda Islands, it is home to the last dragon on Earth, the Komodo Dragon in the Komodo National Park, a UNESCO World Heritage Site. Untouched pristine islands, magical tri-colored volcanic lakes, hiking up volcano mountains like Mount Kelimutu, swim in waterfalls in lush jungles and scenes of paddy fields with smoking volcanoes as a backdrop, diving and snorkeling with rich underwater life are what you will find here. Sulawesi is one of the four Greater Sunda Islands of Indonesia, unique and easily recognized by many. The island is full of unique cultures, unexplored land, mountains and even the sea. 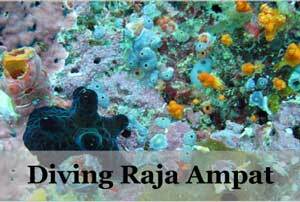 At the north, you will find the best dive sites of Indonesia like Bunaken and Raja Ampat islands. At the south, the popular Tana Toraja had spellbound many travelers with their unique culture and funeral rites since ancient times. To the west of Papua, lies the Maluku Islands, also known as Moluccas or Spice Islands, which is to the east of Sulawesi. Here you can experience its interesting historical and cultural sites, snorkeling and diving off the coasts and also hiking and trekking.